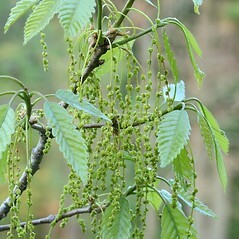 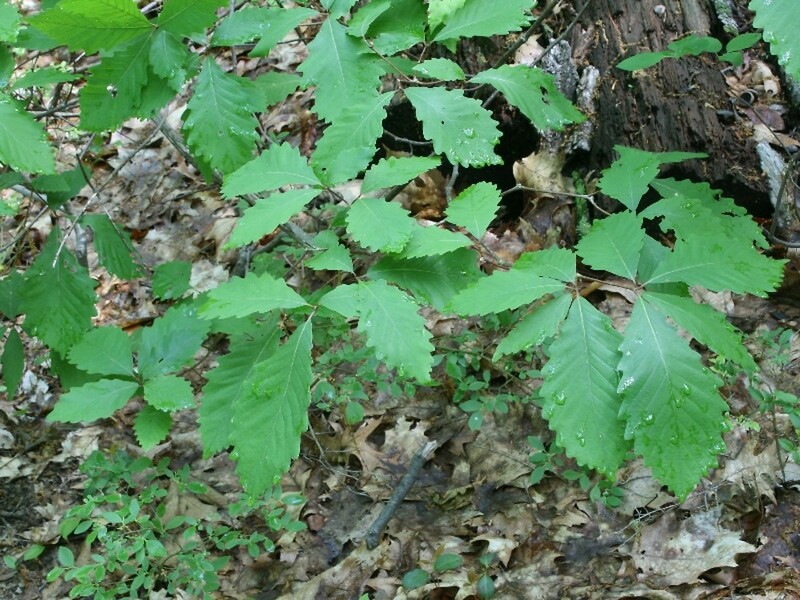 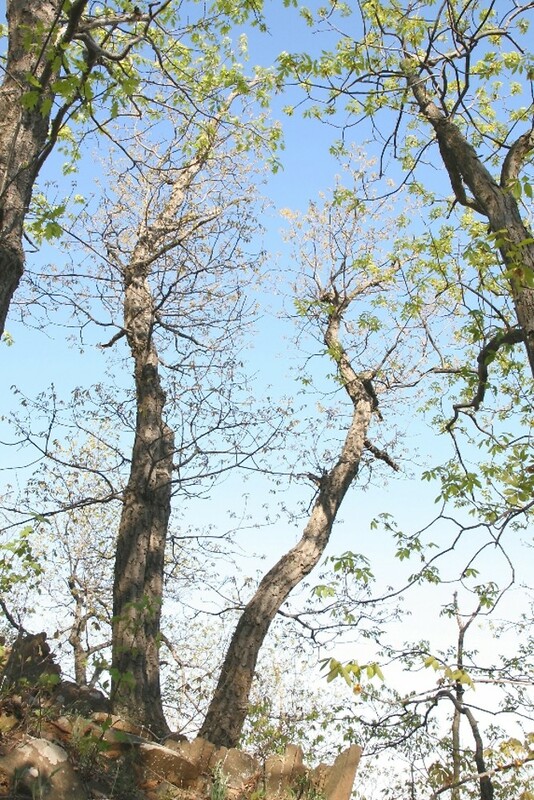 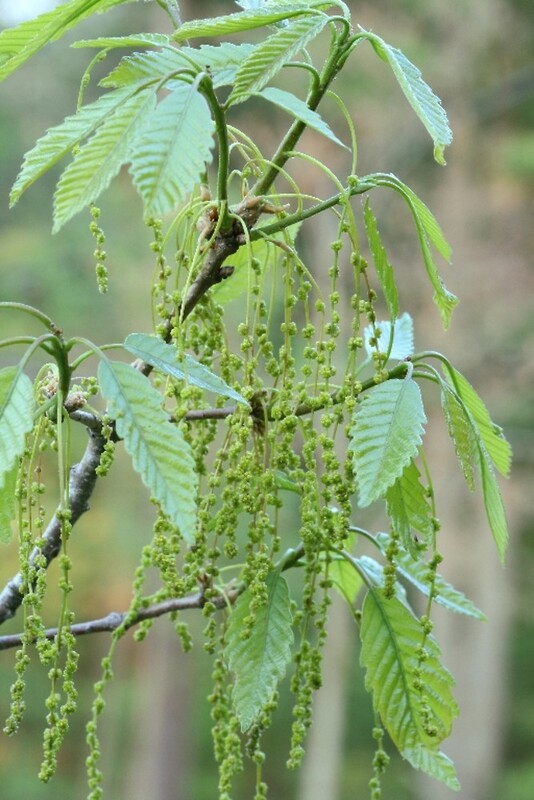 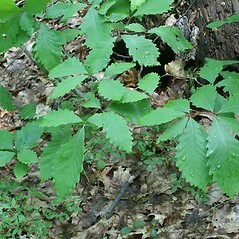 Mountain chestnut oak is so-named for its leaves that, with many shallow lobes, resemble chestnut leaves. 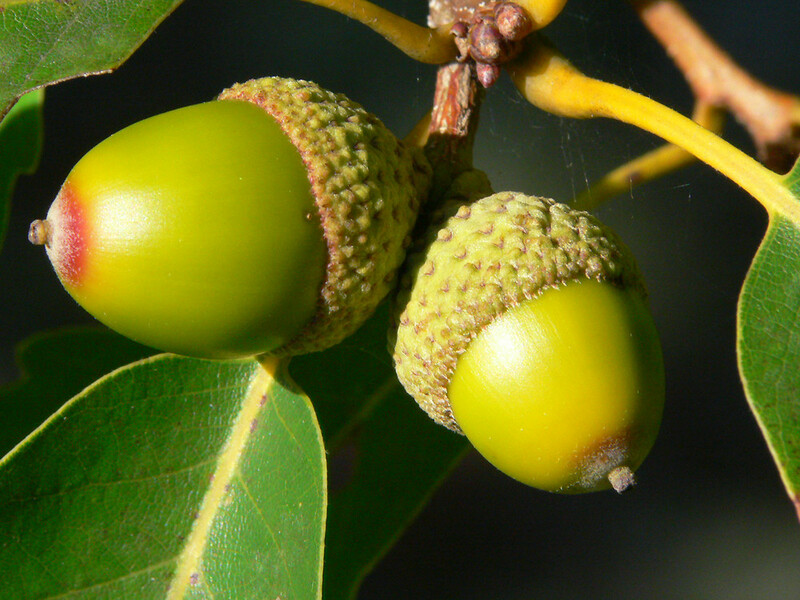 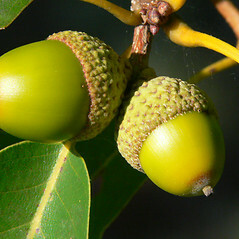 A starchy layer inside the acorn protects the embryo and permits it to persist and germinate in very dry soils. 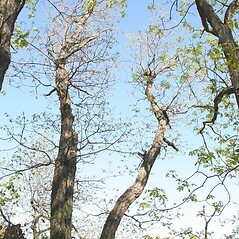 Wild turkeys favor the acorns of this species. 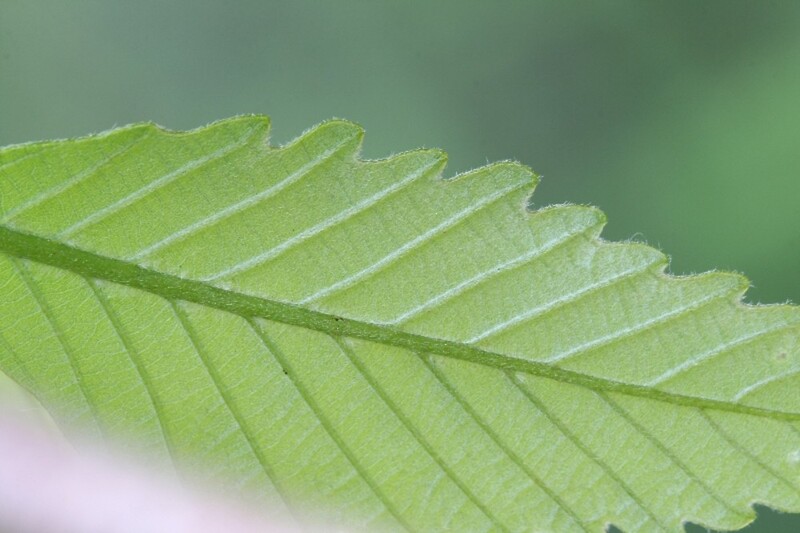 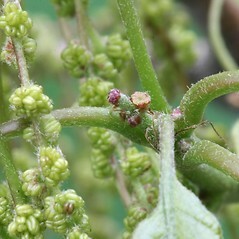 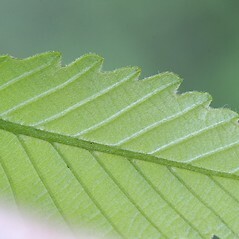 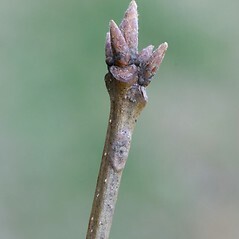 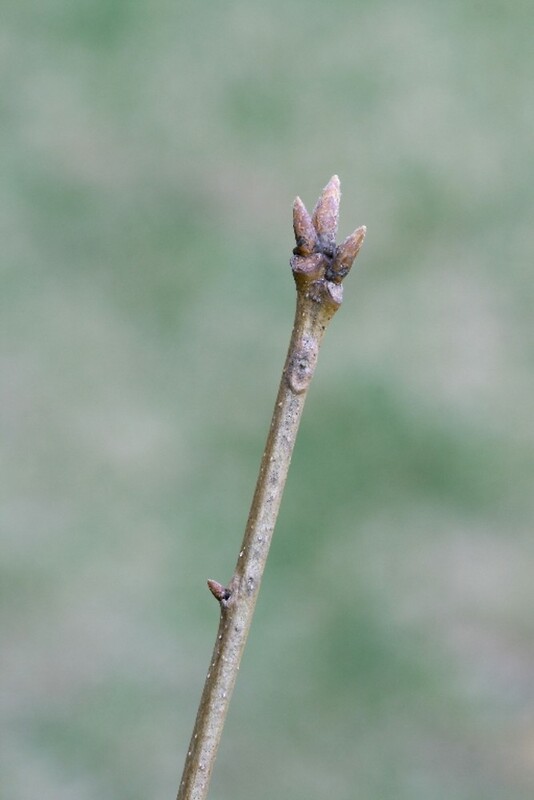 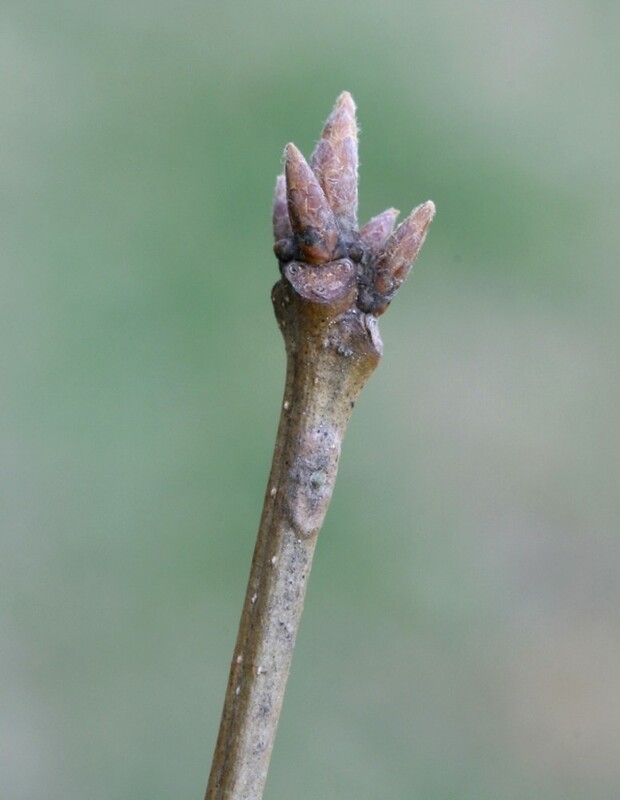 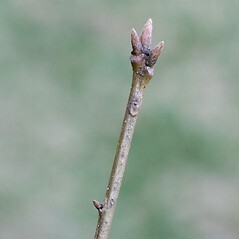 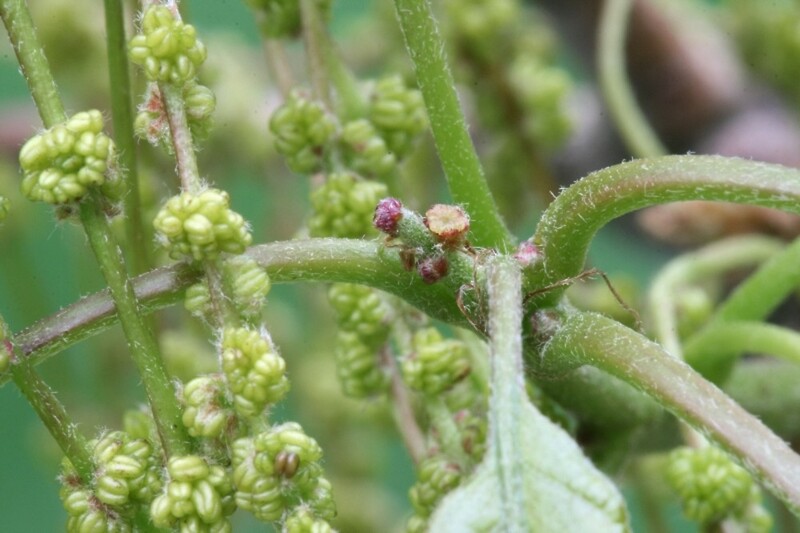 leaf blades often with a papilla-like point at the apex of each tooth-like lobe, bark gray, without deep furrows, flaky or scaly on mature stems, and carpellate involucre mostly 8–20 mm in diameter (vs. Q. montana, with leaf blades lacking a papilla-like point at the apex of each tooth-like lobe, bark dark gray to dark brown with deep furrows, neither flaky nor scaly, and carpellate involucre 18–25 mm in diameter). 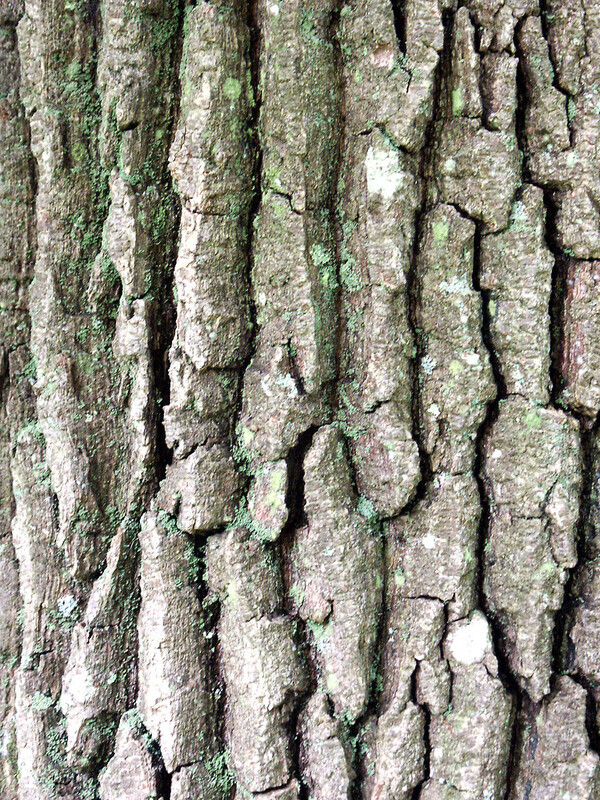 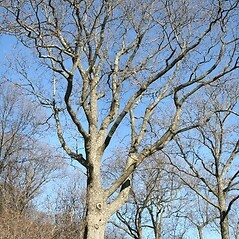 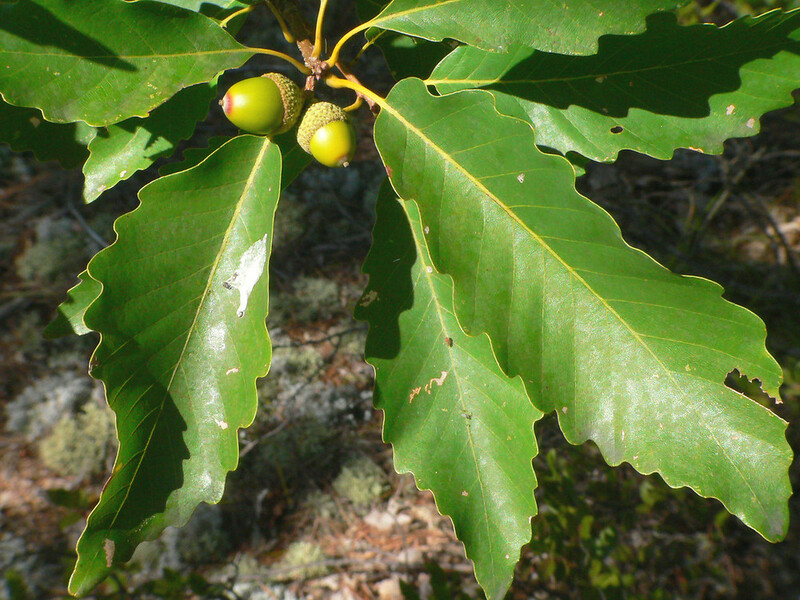 mountain chestnut oak. 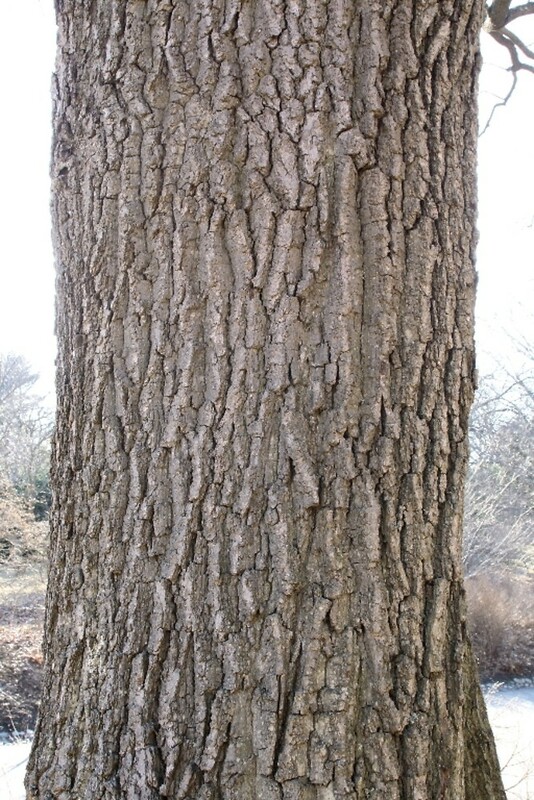 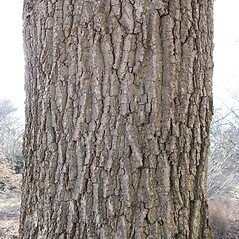 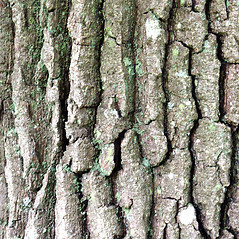 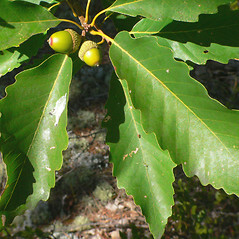 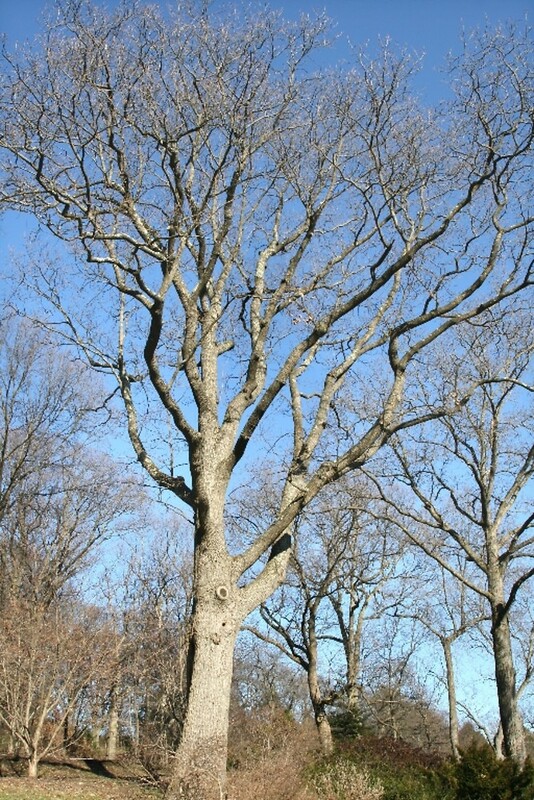 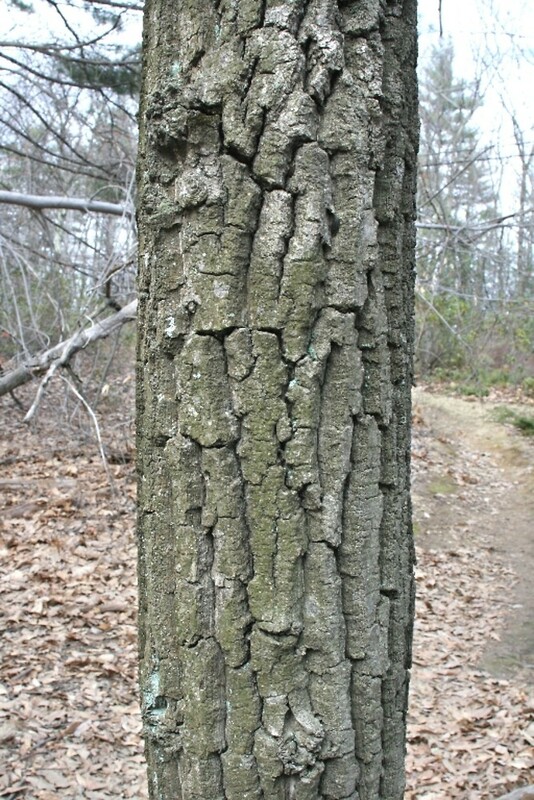 Quercus prinus L. • CT, MA, ME, NH, RI, VT; mainly limited to the southern portion of the northern New England states, but extending north in VT in the Lake Champlain Valley. 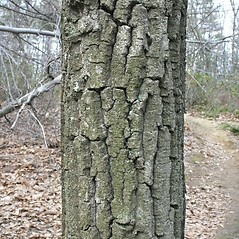 Dry-mesic to mesic forests and woodlands, often associated with ridges and rocky slopes.